Can’t stop thinking about that Ben and Jerry’s Chunky Monkey that’s just sitting there in your freezer? How about when you’ve had a long and busy day: surely you deserve that bag of chips? What about when you’re tired and you need some extra sugar as a pick-me-up? Thoughts like this aren’t uncommon, and food cravings get the best of us. However, these cravings are usually caused by blood sugar spikes and dips, which can be a dangerous cycle. If you’re often starving in between meals, it might be a clue that you should start picking food sources that provide a continual release of energy, rather than extreme highs and lows. You might also want to pay attention to what you’re craving and when you’re craving it. Here’s Jill on The Dr. Oz Show explaining how your cravings can tell you what your hunger type is, and how Chinese medicine can help. In the meantime, check out these tips to help you offset some of those cravings for unhealthy foods! 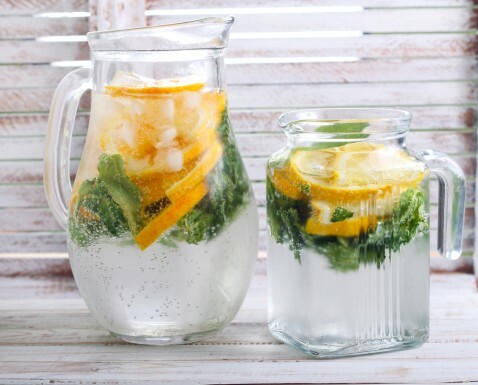 If you tend to drink your calories through sodas and fruit juices, consider sparkling flavored water. It provides the carbonation of soda and the hint of fruit without the artificial sweeteners and excess sugar. Artificial sweeteners that are found in “healthier” diet sodas often perpetuate the cycle of sugary food cravings since they trick the body into thinking that it is ingesting sugar, since aspartame is approximately 200 times sweeter than regular table sugar, or sucrose. Bonus points if you buy your own sparkling water and flavor it yourself with freshly cut fruits! 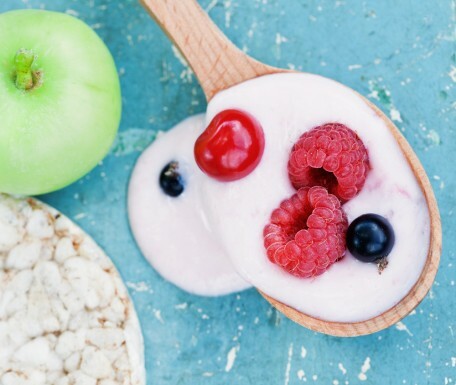 Studies have shown that people who eat a breakfast that contains a healthy protein source (eggs, a protein drink, nuts, or nut butters) tend to experience less cravings and more satiation. 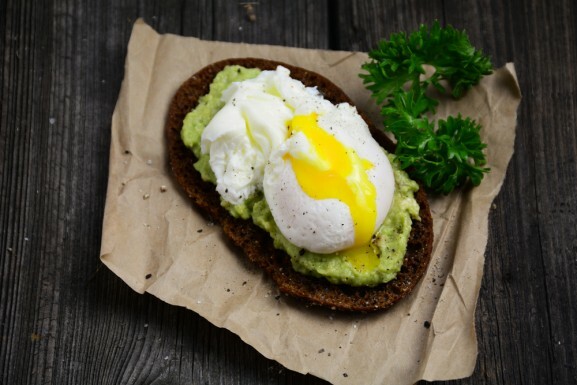 So instead of giving in to the Cronut craze or trying out that new bakery down your block, maybe reach for some Greek Yogurt with some almond butter or granola on top or maybe some avocado toast with a poached egg on top… yum! If you absolutely cannot live without your ice cream fix, try this simple (and cheap) recipe. 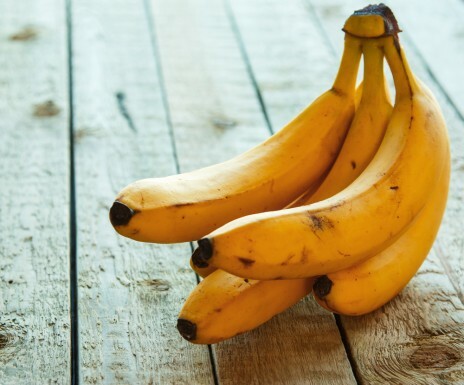 Simply peel and dice up a banana. Then, throw it in the fridge for a couple of hours. When you take it out, put it in the food processor and you have yourself a creamy, banana ice cream that’s all natural, with no artificial sweeteners! If you want to get even more creative, throw in some nut-butter or a small serving of cacao nibs. Maybe frozen treats aren’t your weak spot, but candy is. 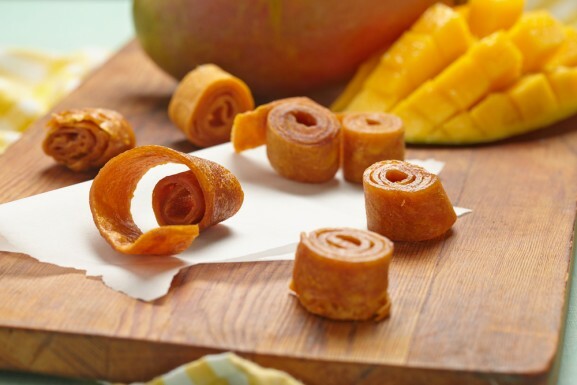 Try buying fruit leather instead of your regular candy fix, which,depending on what you’re going for, can have upwards of 50 grams of sugar! Look for ones that are made with fruit-only that contains no added sugar. Another alternative you can try, if you cannot live without sweets (trust us, we know how hard living without sugar is! We tried to give it up for 30 days!) Take a carton of frozen berries and mix it with some Greek yogurt, preferably plain, which has less sugar. Then, line a baking sheet with some parchment paper. Make sure the berries don’t touch, as they will stick together later. Stick the pan in the freezer for a couple of hours and then transfer the drops to a Ziploc bag for a rainy day. Voila! The Average American consumes about 3400 mg of sodium a day. However, the CDC recommends no more than 2300 mg of sodium per day. (Yeesh). 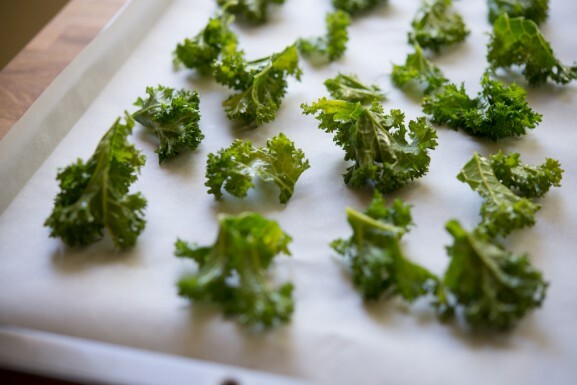 So, if you’re craving something savory try this delicious recipe for Kale Chips from our sister site, Grow.Cook.Heal. Speaking of kale, check out this blog post we wrote a while back all about how to grow a kale plant in your apartment!